How to Add a Blog to a Adobe Muse. Adobe Muse is really great for the creative web designer but it does have one major flaw, it is not very good for clients adding content. Adobe Muse does have in-browser editing but currently it does not work well. When editing in the in-browser often the changes can result in undesired effect to the styling. A few third party developers have offered solutions, some better than others, but there is a simpler solution, and that is to add a blog using c-panel, the choice of blogging is vast including WordPress, Ghost, Serendipity etc. Why add a Blog to your Muse Site? Clients should be encouraged to add new content to their website, it helps with SEO, websites that have regular new content will out perform SEO of those websites that are static and have no changes made. By adding the blog into the background of your website it will be seen as new content for the website. A blog is easy to add content, both images and text, and most blogs are responsive. To add a blog using the c-panel which lots of website hosting companies offer. Once in cpanel you can use Softaculous to install your prefered blogging platform including WordPress. When installing make sure the installation is in it’s own Directory and not the root directory. Add a Manual menu in the blog to link to the Main Adobe Muse website. Once the blog is added it can be customised to match your Adobe Muse website styled differently to give the blog its own unique style. Dont forget you will also need to add a Google tracking code to the blog site if you want to track in Google analytics. This entry was posted in adobe muse, SEO, Uncategorized, website design on April 14, 2017 by Mick Kenyon. Website design for accommodation in the Lake District. To maximise your booking potential of an accommodation website you will need a great looking website with secure on-line booking. Being in the Lake District you will also need an eye catching website design with great photographs tailored to your accommodation whether it be self catering, bed and breakfast, guesthouse, hotel or a country inn. Accommodation websites should be strong on their visual element, they should show the beauty and what the Lake District has to offer along with the features you accommodation offers. A tip here is to target your type of customer, are your main core of customers sightseers, active couples, families etc? Tailor the feel and the look of your web site to the customers you attract, this will also help on SEO. 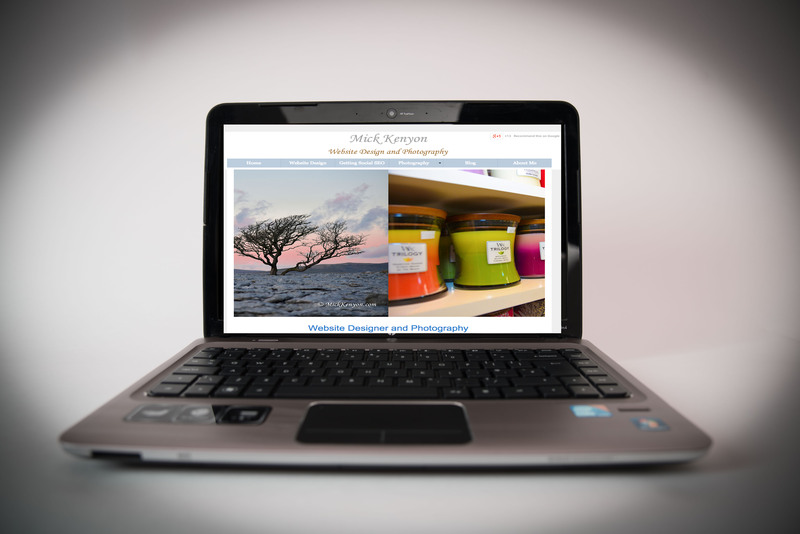 Mick Kenyon website design and photography for the complete website design package tailored to your accommodation business .. tel 07738 255499 for your your Free no obligation quote. 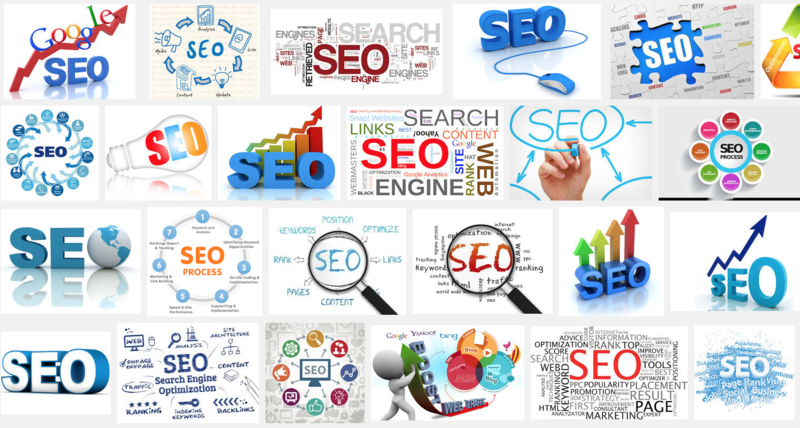 Great SEO is the next step to get your web site noticed, with so much competition in the lake district you need to box clever. If you target just accommodation you are competing with lots of other lake district accommodation sites so you are more likely to have success by targeting specific customer groups. e.g ‘fishing holidays in the lake district’ will be easier to get higher search rankings than ‘lake district holidays’. Once the customer has discovered your accommodation website you literally have seconds to make an impression or the customer or they will leave and look elsewhere. Photographs sell the dream to your customers and build confidence, try to avoid stock photography as these can reduce the customer confidence. Photographs on your website are one of your biggest asset to enticing customers to book with you, make them relevant to your type of customer and accommodation. Photographs should be of your property and your local area in the Lake District. The other big ‘must’ is on-line booking, people like to see availability immediately and expect to be able to book immediately. 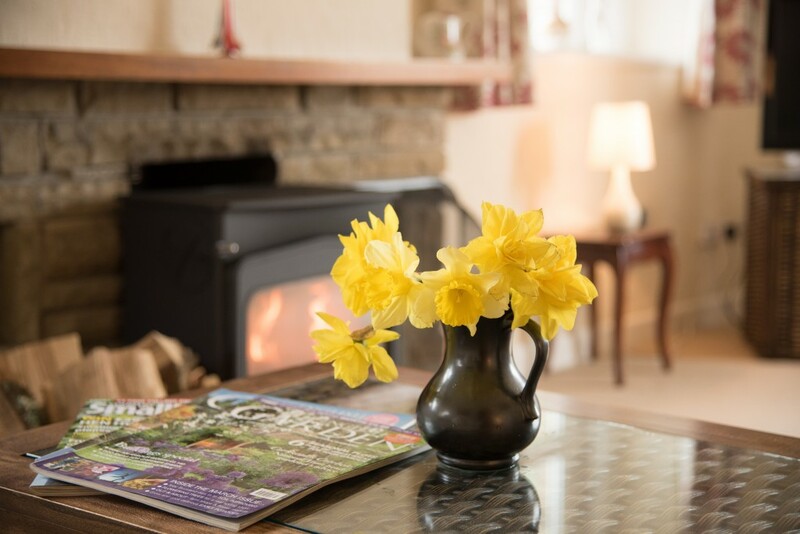 Self catering accommodation should show the facilities at there best, if you have a fire or log burning stove this should be lit when photographs are taken. Beds should be made and tables set. Its always a nice touch to add flowers and a bottle of wine. Photographs should be well focused, shallow depth of field can be used on features to make them stand out. If possible avoid using flash, this can be achieved using the manual settings (try using bracketed exposures), if flash is used diffuse it to stop flares in the picture to give natural light feeling. Guesthouses and B&Bs should have pictures of the rooms well laid out, fresh clean towels should be present on the bed and add a splash of colour to the rooms such as flowers and vibrant art. Avoid pictures of the loo unless it is extra special, it’s better to have a hint, maybe an ensuite sign. Hotels should show the room and the best features from around the hotel, such as the bar area, restaurants and leisure facilities. Add to these photographs of art etc. You should also add photos to the website aimed at your type of clientele, for the active types you may include photos of walking boots, mountain bikes etc. if it is aimed at romantic breaks photos of roses and wine bottles and for families include teddies, and kid friendly features. 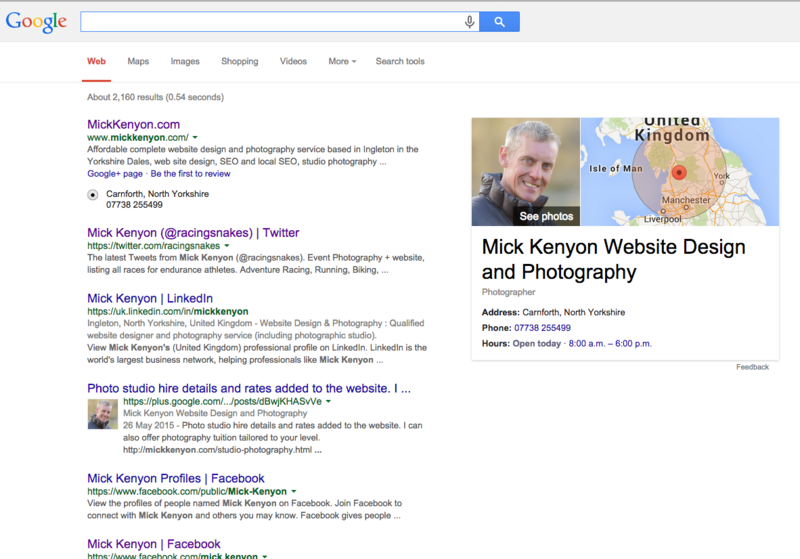 For a website tailored to your requirements including photography and on-line booking contact Mick Kenyon on 07738 255499. This entry was posted in Marketing, SEO, website design on April 22, 2015 by Mick Kenyon. Here are 4 Ways on how to increase accommodation bookings at your B&B, Guesthouse, Hotel or self catering property. There are a number of ways to increase your presence and get more visible on the web which will lead to more interest and booking for your B&B, Guesthouse, Hotel or self catering accommodation. Make sure your B&B, Guesthouse, Hotel or Self Catering Accommodation website looks good, has easy navigation and eye catching quality photographs. Is it a mobile friendly website? 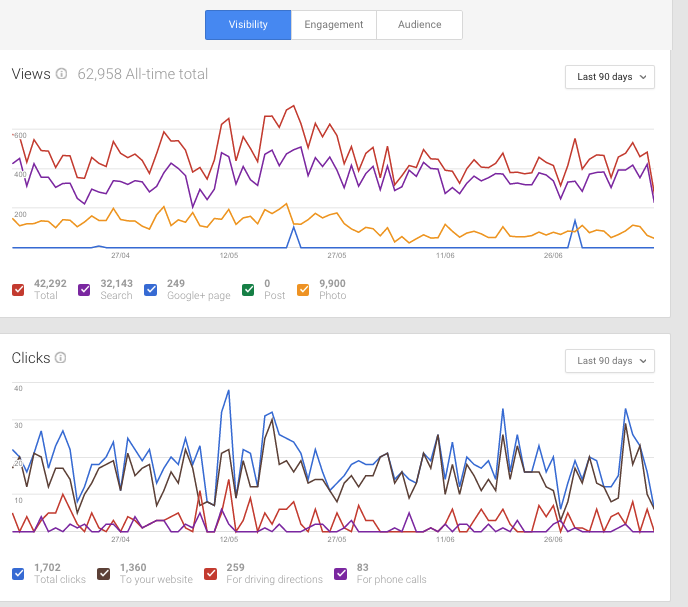 This is getting more important than ever with new changes being introduced by Google. Registered it on Google+ and make sure your Google + page is complete. Ensure you include a phone number so people can call your B&B, Guesthouse, Hotel or self catering accommodation straight from their mobile. Make sure good quality images are used on your website, avoid stock photographs. Your website should invite people into your B&B, Guesthouse, Hotel or Self Catering Accommodation. People viewing it need to feel they can trust your business. 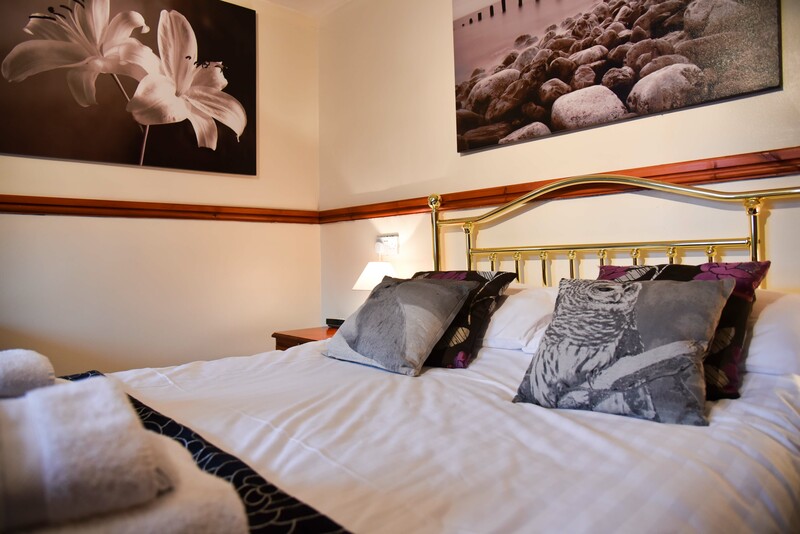 It is important to have original photography of your accommodation, make sure it is great quality and avoid using stock photography which people just don’t trust. Colours of your website are really important, don’t use too bold colours, blue is often seen the colour as the colour that people most trust. Make sure the font is big enough and links can easily be found to help navigation around the website. People like to be able to see if the accommodation is available straight away for B&B, Guesthouse, Hotel or self catering accommodation. In general they don’t like to phone to check on availability, they want to see it straight away online, whats more they also want to book it straight away. The best way to do this is to include an online booking service on your website, there are many out there, some charge commission and some don’t such as Freetobook. Make sure you embed the booking service into your website and clearly show it on your website. More and more people are turning to there friend in the pocket for help on finding that perfect B&B, Guesthouse, Hotel or self catering property to stop. 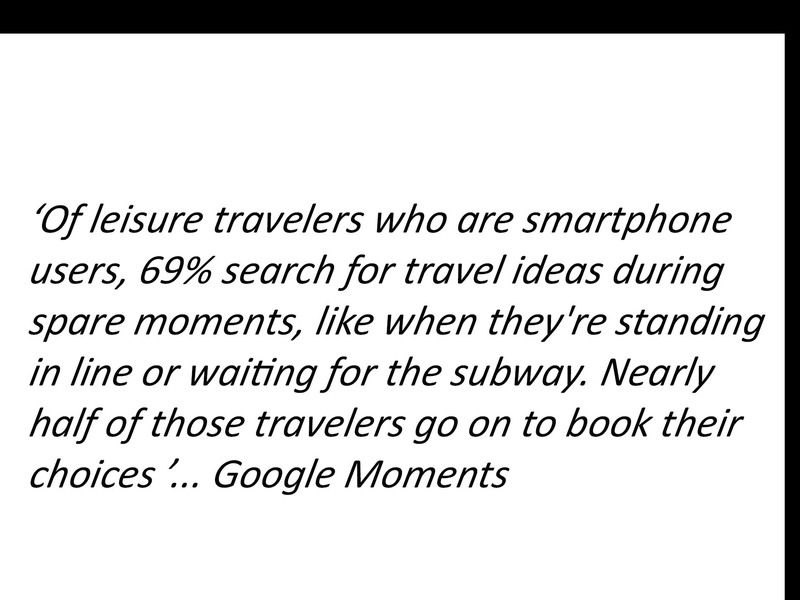 In fact sixty five percent of people who book a hotel room within 24 hours of their stay do so from a mobile device. From April 21st 2015 Google change the search rankings for mobile devices, if your website is not a responsive layout or has a dedicated mobile design platform you will not be as visible on Google as those that do (your competitors). You can check to see if your website is mobile friendly by clicking on the link here for the Google Mobile Friendly Test. If your not mobile friendly you can check out advice on being mobile friendly. The final tip is to get your business registered on Google+ (Google plus). By having a verified business your B&B, Guesthouse, Hotel or self catering property is more likely to be shown on the first page of search results and included in the panel of 7. You can register your business on GMB (Google my Business) for free and it could be he best investment of an hours work you will make. For further information or if you want a FREE quote for a website design including photography please call Mick on 07738 255499. 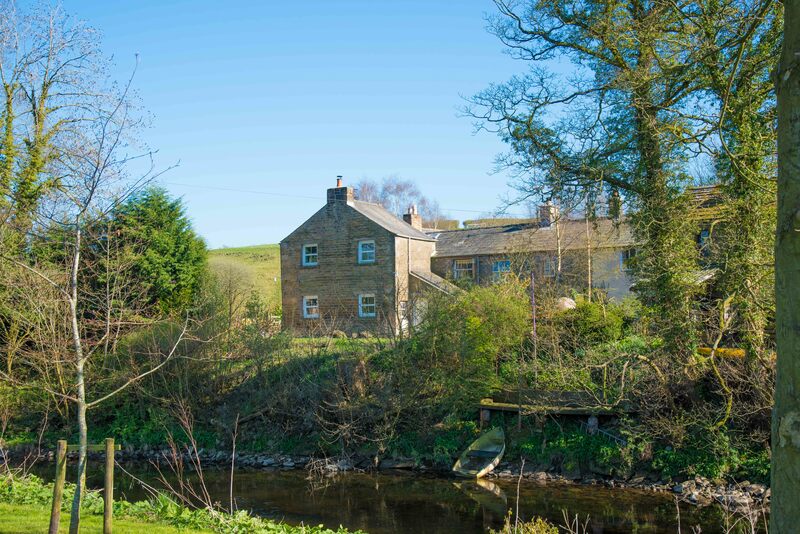 Based in Ingleton, North Yorkshire I am within easy reach of The Yorkshire Dales and the Lake District National Parks. Including the towns of Skipton, Settle, Hawes, Ingleton, Sedburgh, Kirkby Lonsdale, Kendal, Windermere, Ambleside, Grange. This entry was posted in Marketing, SEO, website design on April 12, 2015 by Mick Kenyon. 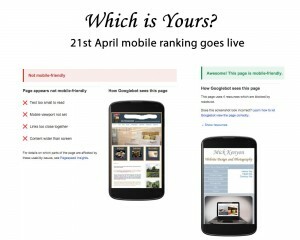 Mobile Friendly Rankings – what it means to you. 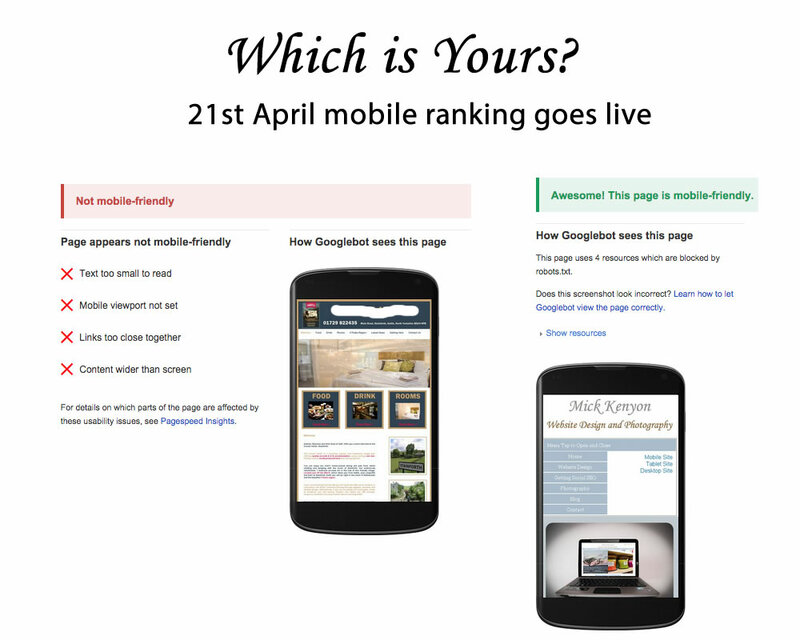 Google have announced that from the 21st April 2015 they will reward websites that are Mobile Friendly. Google have used some carefully chosen wording, announcing mobile friendly designed websites will be rewarded in mobile search, rather than saying websites that are not mobile friendly will be penalised. So what does this mean? The long and short of it is that the only changes will be made to searches performed on mobile devices, search results returned on desktop computers should stop the same (for now). What this means is that if your website design is mobile friendly it will have a better search ranking than those websites that are not mobile friendly. We are also only talking talking mobile phones for the time being (not tablet). In essence if your website design is mobile friendly it is more likely to be returned in search results if someone is searching using a mobile phone. This is probably more important than you realise with mobile usage on the rise and many users only having mobile devices to access the web. For the the time being desktop search results will not be affected by the Google changes being introduced, it will only affect mobile search results. There are a number of factors that Google are looking for when deciding if a website is mobile friendly, the main ones being. Google have said the mobile changes are not arbitrary, but they will affect mobile search rankings, and they may scale rankings due to the amount the website is mobile friendly. Google have said that although the changes will take place from 21 April 2015 it maybe a few days (even a week) before the changes are fully seen. Google said that the changes have been made as they recognise more people are accessing websites through mobiles than ever before and they want to reflect the user experience in the rankings. Googles preferred way of getting mobile friendly sites is for ‘responsive design websites’ although they recognise this may not suit all website designs and so as long as it is mobile friendly this will not affect the rankings. Googles last bit of advice to websmasters was not to concentrate on the new algorithm but to concentrate on getting good mobile friendly designed websites. Test your website to see if it is mobile friendly. #3 Check in the websmaster tools to see if your site is mobile friendly. What Happens if Website is not Mobile Friendly? The results in the tool or webmaster tool will tell you what is wrong, you should either fix the errors yourself or inform your webmaster or webdesigner. This entry was posted in SEO, website design on April 5, 2015 by Mick Kenyon.